We all know that any food presented aesthetically and elegantly will look much more enticing and attractive to our guests. 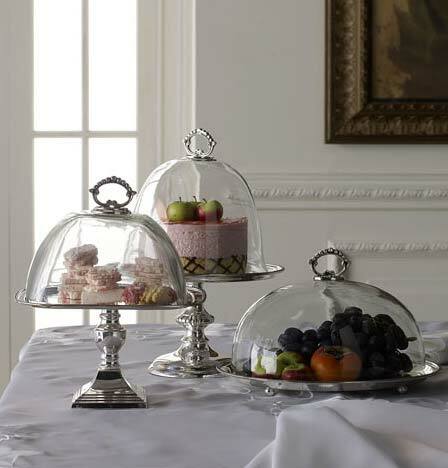 Feast your eyes on these domed serving pieces with their silver-plated bases covered by glass domes – a stylish way to present your delicatessen in a buffet at parties, weddings and special events. 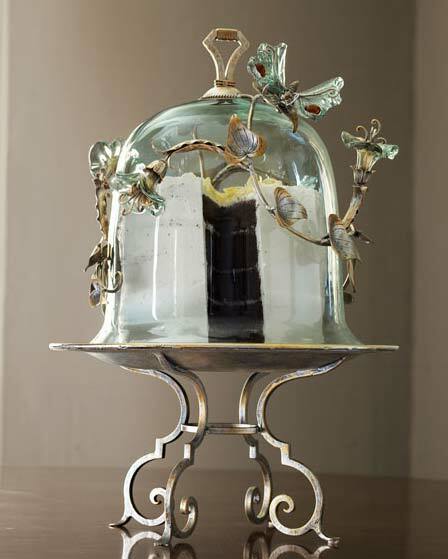 The ‘Morning Glory’ cake stand by Janice Minor is made from wrought-iron with a glass plate and dome covered with morning glories and a butterfly. 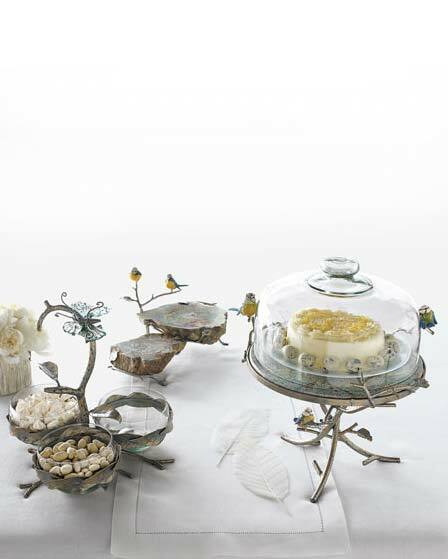 Minor’s extraordinary ‘Bird & Butterfly Serving Pieces’ lend an airy, natural appeal to any culinary display, combining wrought iron, blown glass, stone, and charming resin birds. 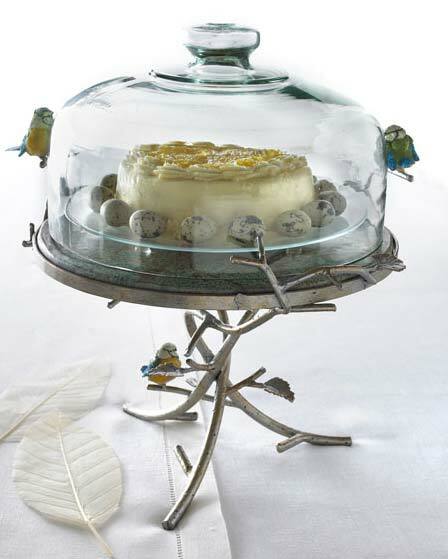 The perfect solution for your culinary display, these decorative domed servings will give your buffet a sophisticated prestigious look, exactly what you need to allow your guests to simply enjoy your food – from cakes to cupcakes to various petite treats. Compliments to the Chef!